Back in November 2014, Nevesbu and Iv-Oil & Gas joined forces and started the Pre-Contract Engineering for the contract to modify and upgrade the Petrojarl 1 FPSO. It was anticipated that the upgrade will take around a year to complete. 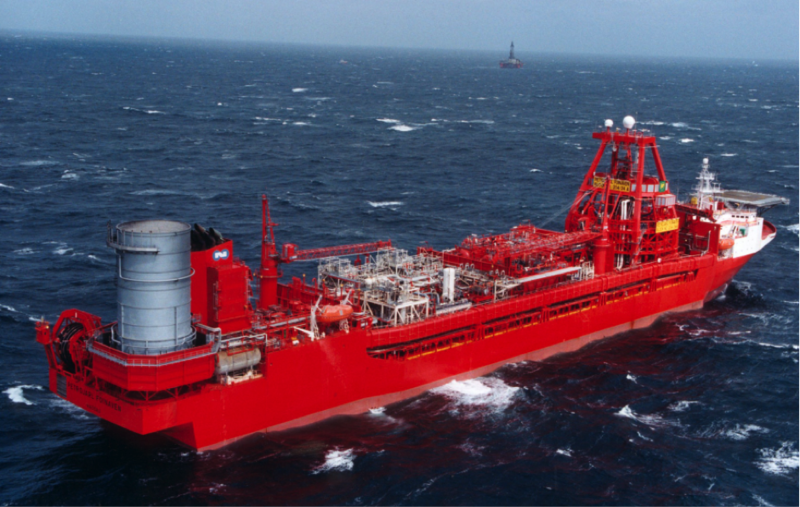 On completion of the project, the FPSO will be used as an early production system (EPS) unit on the Atlanta field located around 185 kilometres offshore from the Brazil coast. This project presented many challenges and was also unique in that an EPC redeployment upgrade contract had not been carried out in Europe before. Teekay Offshore awarded Damen Shiprepair Rotterdam (DSR) the complete EPC contract for the modification and upgrade of the Petrojarl 1 FPSO. DSR in turn contracted Nevesbu to take care of the Marine Systems, Structural (design and engineering) and Naval Architecture for all modifications. Iv-Oil & Gas was then requested by Nevesbu to execute the Process, Mechanical, Electrical, Instrumentation, Structural, Piping Design and Piping Engineering. Frames Process Systems (FPS) was also selected for its expertise in the field of separation. They provided a large amount of the skid mounted package units (skids) and worked closely together with Nevesbu and Iv-Oil & Gas for integration of the skids with the vessel. On completion of the initial demolition works, in April 2015, the Petrojarl 1 was moved into DSR’s dry dock, where the refurbishment, modification, and upgrade of the ship was carried out. Fast-forward to August 18, 2017, Damen Shiprepair Rotterdam (DSR) successfully delivered the FPSO Petrojarl 1 to Teekay Offshore following a complete redeployment project which took place over the past 2 ½ years. The self-propelled FPSO spent 14 months in Dock No. 8 (300 x 50m) undergoing refurbishment of its marine systems, underwater hull, seawater system, crane booms, heating coils in the cargo tanks and specialised steelworks in the upper and lower turret areas, which needed to be completely revised and adapted to suit the 1500 metre deep mooring location. Simultaneously, new designed high quality, prefabricated equipment skids containing heating, cooling, separation, compression, boilers, centrifuges as well as a new E-house with electrical equipment were placed on board. Interconnecting piping and cabling was subsequently installed to complete the topsides and connect it to the remaining facilities. Upgrade of well kill system to reduce drilling rig workover time and to reduce produced crude oil handling in the rig using brine. According to DSR, the project involved more than 450,000 engineering hours and more than 50% of the process equipment was removed and replaced by new and additional equipment. Teekay had operated the Petrojarl 1 for 28 years in the North Sea, but it is now destined for the Atlanta field offshore Brazil. Located in block BS-4 in the Santos basin, Atlanta is a postsalt oil field, 185 km (115 mi) offshore Rio de Janeiro in a water depth of 1,500 m (4,921 ft). First oil is expected in 1Q 2018. Queiroz Galvão Exploração e Produção S.A. is the operator of the block with a 30% ownership along with consortium members OGX Petróleo e Gás S.A. (40%) and Barra Energia do Brasil Petróleo e Gás Ltda. (30%). We are proud that FluidFlow software was used to design and model the upgraded seawater cooling for topsides and diesel transfer system of the Petrojarl 1 FPSO vessel together with checks on other piping systems required for the successful operation of the FPSO.